When the US naval bases in the Philippines closed in 1992, the military left behind thousands of Amerasian children. Since the closings, American presence still exists and -contrary to initial estimate of 52,000 – it is now estimated that there are 250,000 Amerasian children, ranging from newborn to geriatric, abandoned in the Philippines. These Amerasians are acutely vulnerable, particularly to human trafficking, and painfully stigmatized. They live in abject poverty, forcing them to continue the cycle of marginalized sub-existence and prostitution. How can one be half-American and still not a citizen? The US Senate Judiciary Committee rejected attempts to include the Philippines in the Naturalization Act, “claiming that Filipino Amerasians were not victims of discrimination, that they were conceived from illegal prostitution, and that, unlike Amerasians in South Korea and Vietnam, they were born during peacetime. But none of these are unconscionable grounds for selectively preventing Filipino Amerasians from coming to this country. ______________________________________________________________Frequently Asked Questions (FAQ): Who are the Filipino Amerasians? In 1992, the United States military left the Philippines. I thought they took everything with them. But they left behind 50,000 Amerasian children whose fathers were American sailors and their mothers were assumed to be prostitutes. These Amerasians are America’s forgotten children. In 1982, the United States Congress voted to grant U.S. citizenship to Amerasians from Vietnam, Korea, Thailand, and other Asian countries, in what was known as the Amerasian Homecoming Act. Although the Philippines has been a United States ally for more than a century, Filipino (and Japanese) offspring of soldiers were not included: they must be claimed by their former American G.I. fathers if they wish to claim their U.S. citizenship. Why is the Bayanihan Foundation making this one of its partnership priorities? Many Amerasian children are labeled Iniwan ng Barko (left by the ship). I met some of them during my first visit to Angeles in January 2011. I heard many of their tragic stories of discrimination and prejudice. Many are unaware of this important issue yet it involves many complex issues and moral issues. What does the future hold for these forgotten children of the post-war world? What moral obligation does the US have to America’s forgotten children? Do they have to find their fathers in the US to find peace? Will their fathers and their families accept their Amerasian offspring? Will these Amerasians even adjust to life in the US after living in the Philippines all their lives? Or does the local Filipino society have to accept these forgotten children and not discriminate against them? It is critical for the foundation to bring this issue to the forefront. I have started an online petition that I think you may be interested in. It concerns Amerasians from Japan and The Philippines. I hope you will consider reading it and spreading the word about it, Thanks. Your efforts for an online petition is commendable. However, the Filipino Amerasian community leaders that attended the July 2-3, 2011 workshop are more focused on the daily survival needs of their fellow Filipino Amerasians. They also expressed concern on deep discrimination that they face everyday. Thank you for commenting and reading my blog entry. Please pursue this advocacy for the benefit and welfare of Filipino-Amerasian who left by their fathers or wasn’t able to give a chance to claim their birthrights! Or at least given a chance to have a priority job or to be able to continue their study’s to be prepared in the near coming future.!! Thank you for your positive comments and for reading my blog entry. Please keep reading and keeping in touch. Your continued support is important. i am a mother of an amerasian…he is on his 25th year already…his birth certificate was signed by his father…as of now we have a communication already…but he doesn’t have any work in u.s….so by this kind of organization…what possibilities do we expect in regards to others who the same situation? Kumusta na? 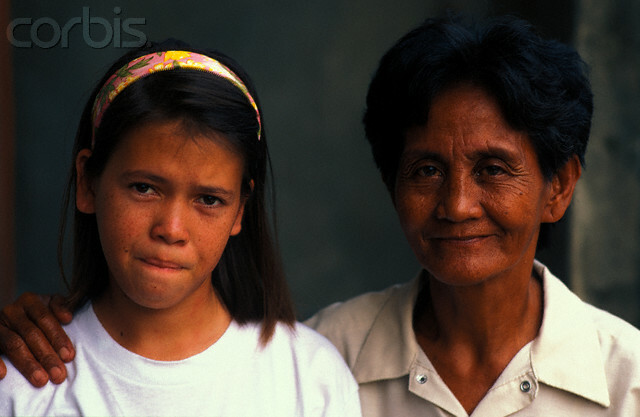 The Bayanihan Foundation does not provide direct support services to Amerasians and the processing of their paperwork. The foundation’s role is to promote public education and outreach to the general public, especially to other Filipinos in the US regarding this issue. The Bayanihan Foundation is partnering with its nongovernmental organizations (NGOs) WeDpro and Buklod to help Filipino Amerasians and their immediate needs. Please contact them directly for more information. Please also join the Facebook page of United Philippine Amerasians for more info about the public education and outreach we are conducting. Thank you for your interest and for reading my blog entry! More work should be done by both US and Philippine govt to address these issues. Thank you for reading my blog and for offering assistance in helping the thousands of Amerasians left behind in Clark and Subic, Philippines. I will certainly reach out to you and request for your help in reaching out to your Guam Congresswoman. Maraming salamat! 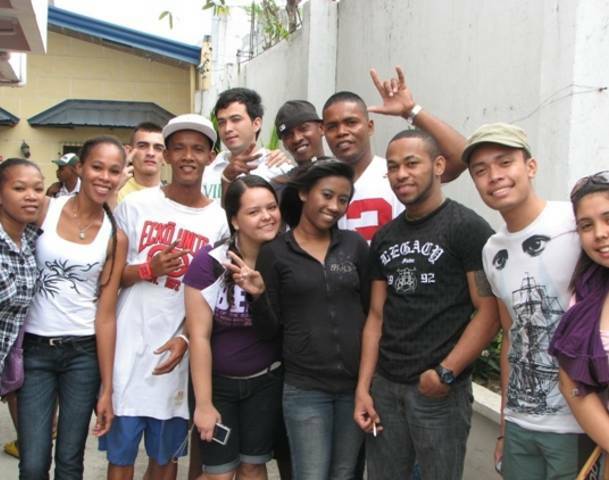 Thank you for volunteering with the Bayanihan Foundation. We’ll be contacting you shortly. I’m so sorry but the Bayanihan Foundation does not provide legal advice. 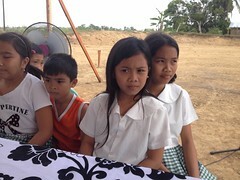 Please refer to the foundation’s partners Wedpro http://wedprophils.org/ for further information. You can also contact the following website for additional information or assistance: http://www.amerasianregistry.yolasite.com/ They might be able to help. Please note that is for referral purposes only; this website is not officially affiliated with the Bayanihan Foundation. Maraming salamat. Thank you. I met few individuals looking for their father, ranging from 28 to 31 years old. The problem is they don’t have any info about their father, mothers won’t give info, both men were told the mother was given money for abortion but didn’t. I’m sorry but The Bayanihan Foundation does not provide connections to find long lost potential family members; it does not have the capacity to do so. However, please refer to the foundation’s partners Wedpro http://wedprophils.org/ for further information. You can also contact the following website for additional information or assistance: http://www.amerasianregistry.yolasite.com/ They might be able to help. Please note that is for referral purposes only; this website is not officially affiliated with the Bayanihan Foundation. I hope this is helpful. Thank you again for reading this blog. Maraming salamat. Who can I get in touch with in finding my possible baby mother. We got involved in 5/20/82. When I met her again on 09/09/02 she was pregnant. She told me that I wasn’t the father but at the same time she wanted me to marry her. I was at the point of I wasn’t sure what I was to do. In my heart, I felt that it was minds and I really wanted it to be minds. But, “I was not the father. Thirty-two years later I still wondering if that now grown child was minds. I need to get in touch with Sue Yso. She work out of lirous #2. After all theses years, I still worry about her and the child. I’m so sorry but the Bayanihan Foundation does not provide legal advice nor connections to find long lost potential family members; it does not have the capacity to do so. However, please refer to the foundation’s partners Wedpro http://wedprophils.org/ for further information. You can also contact the following website for additional information or assistance: http://www.amerasianregistry.yolasite.com/ They might be able to help. Please note that is for referral purposes only; this website is not officially affiliated with the Bayanihan Foundation. Thank you again for reading this blog. Hi I just read this article, my Dad is a GI baby born in olongapo at 1956. he does not know who his father is but is there any chance that my dad could claim his birth rights as an american? I’m so sorry but the Bayanihan Foundation does not provide connections to find long lost potential family members; it does not have the capacity to do so. However, please refer to the foundation’s partners Wedpro http://wedprophils.org/ for further information. You can also contact the following website for additional information or assistance: http://www.amerasianregistry.yolasite.com/ They might be able to help. Please note that is for referral purposes only; this website is not officially affiliated with the Bayanihan Foundation. Thank you again for reading this blog. i all ready tried that site. its all most nothing in there except a way to find my father i all ready tried that before and until now no follow up.. I share with your frustration but I believe there are no quick answers to your search. Unfortunately, the Bayanihan Foundation does not have the resources and capacity to provide connections in finding long lost potential family members. I wish you the best in your search. HI ako po si michelle creighton 26 years old.gusto ko pung hanapin ang tatay kung American.iniwan po nia kasi ako nung baby palang ako at hangang ngayun ay wala ako alam tungkol sa kanya.gustk ko po sang humingi ng tulong.salamat po. HI im michelle creighton 26 years old..tatay ko ay isang u.s air force sa clark nung year 1988.gusto ko po sang humingi ng tulong para po mahanap ang tatay ko.iniwan po nia kasi ako nung baby pa lang ako.ang name niya ay donald matthew Creighton.sana po matulongan po ninyo ako na makita siya.salamat po. 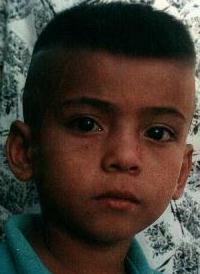 IM AN AMERESIAN, I LOCATED MY AMERICAN FATHER IN 12918 poway rd. CA .HOPING HE WILL SIGN A PATERNETY FORM ISSUED BY MANILA U.S EMBASSY FOR MY IMMIGRATION.BUT MY FATHER JUST DONT CARE WOULD NOT HELP AND WOULD NOT COOPERATE. passed the Amerasian Act of 1982, which allowed Amerasian children in Vietnam, Laos, Thailand, Cambodia and South Korea to immigrate without the consent of their American GI fathers. However, the law excluded Filipino Amerasians. It’s a tragic omission of justice. You probably need to see a pro bono lawyer for any other legal recourse. Thank you for reading my blog. Maraming salamat. I like this article. I was stationed at subic for three years. I have often wondered, and been deeply troubled by the fact that I could have left behind a child. And I have never had any idea of how to go about finding out. Thank you for reading this blog. However, the Bayanihan Foundation does not provide connections to find long lost potential family members; it does not have the capacity to do so. However, please refer to the foundation’s partners Wedpro http://wedprophils.org/ for further information. You can also contact the following website for additional information or assistance: http://www.amerasianregistry.yolasite.com/ They might be able to help. Please note that is for referral purposes only; this website is not officially affiliated with the Bayanihan Foundation. Thank you again for reading this blog! try this website and take DNA tests. good luck! hi i want to know how can i find my father i was born in subic on dec 1983 i just got a old pic of him i dnt know how to start thanks. The Bayanihan Foundation does not provide connections to find long lost potential family members; it does not have the capacity to do so. However, please refer to the foundation’s partners Wedpro http://wedprophils.org/ for further information. You can also contact the following website for additional information or assistance: http://www.amerasianregistry.yolasite.com/ They might be able to help. Please note that is for referral purposes only; this website is not officially affiliated with the Bayanihan Foundation. Thank you again for reading this blog! My name is Magnus W T Scott Sr I read your article about The Forgotten AMERICAN in the Philippines.I have grand daughter I have tried to locate her and her mother but unsuccessful.Please let me know how to contact you for help in finding my daughter. My email address is, pastor_scott33@yahoo.com Thanks. I’m sorry but The Bayanihan Foundation does not provide connections to find long lost potential family members; it does not have the capacity to do so. However, please refer to the foundation’s partners Wedpro http://wedprophils.org/ for further information. You can also contact the following website for additional information or assistance: http://www.amerasianregistry.yolasite.com/ They might be able to help. Please note that is for referral purposes only; this website is not officially affiliated with the Bayanihan Foundation. I hope this is helpful. Thank you again for reading this blog! I just wanted to ask on how and what are the possible ways to find the father of my friend who is in US because she can’t remember anything about her parents.Her father was an American whom she was looking for. The same with her father, she also doesn’t know where her mother is. No one can tell where her parents are.Someone told her that she was adopted by someone in olongapo.When she was 1yr old, my friend and her mother was left by the ship in Olongapo 43 yrs ago. I’m sorry but the Bayanihan Foundation does not provide legal advice; it does not have the capacity to do so. However, please refer to the foundation’s partners Wedpro http://wedprophils.org/ for further information. You can also contact the following website for additional information or assistance: http://www.amerasianregistry.yolasite.com/ They might be able to provide affordable and reliable legal assistance. Please note that is for referral purposes only; this website is not officially affiliated with the Bayanihan Foundation. I hope this is helpful. Thank you again for reading this blog. Maraming salamat. Many can’t wait around and do that. Their hands are tied. And it’s not because they don’t want to its because Philippines government makes it impossible to get requirements. Hi My name is Vincent Cerilla, I am 42 years of age. I am Amerasian, I’m living here in California. I’m still hoping to meet my Biological father one day, So that I can introduced my kids to him. My comment or question is if it’s possible to find my Biological father through blood testing, Then turn it in the U.S. military medical center to match the blood testing to sailors that was station during the year the Amerasian was born. I’m sorry but The Bayanihan Foundation does not the resources to find long lost potential family members; it does not have the capacity to do so. You might want to contact the following website for information or assistance: http://www.amerasianregistry.yolasite.com/ They might be able to help. Please note that is for referral purposes only; this website is not officially affiliated with the Bayanihan Foundation. I hope this is helpful. Thank you again for reading this blog. Maraming salamat. I’m so sorry but The Bayanihan Foundation does not the resources to find long lost potential family members; it does not have the capacity to do so. You might want to contact the following website for information or assistance: http://www.amerasianregistry.yolasite.com/ They might be able to help. Please note that is for referral purposes only; this website is not officially affiliated with the Bayanihan Foundation. I hope this is helpful. Thank you again for reading this blog. Maraming salamat.